Adam Demetri is not only a great lawyer, but a good person. He was always professional and courteous. I was very anxious about the lawsuit and he alleviated any fears I had. He was always available for consultation and responded to inquiries in a timely fashion. I was dismissed from the lawsuit. If I had not been represented by Adam Demetri, I do not believe this would have occurred. It was a pleasure to deal with Adam. Phone calls were promptly returned. He made you feel like you were of utmost priority. He is patient and courteous. He is knowledgeable and I felt that he had my best interest at all times. He’s the best! We were very nervous about estate planning. When we met Adam Demetri, we knew he was the legal professional we needed to establish our estate. He is passionate about his work. He loves to explain everything in detail. He is very meticulous and listens carefully to what his clients need. Great experience with this law firm. Always heard you only speak to the paralegals or office staff when you hire an attorney. That is not the case with this firm. Adam always called me himself whether he had a question or just wanted to see how I was doing. He always had the time to take my calls too. When I did speak with the office staff they always mad me feel like my question was an important one. Highly recommend this law firm. Adam was very helpful. He took his time and explained everything in great detail. He was very knowledgeable and answered all my questions. Adam has been my attorney for over 20 years. He has always been extremely comprehensive and efficient. He just completed my Estate planning trust which was an enormous task that he made so easy. He gives great advice and great service. Look no further, you will not find better. He is a fantastic attorney and great human being. 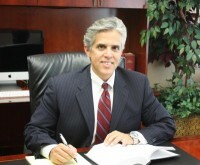 My family and I have relied on Mr. Demetri’s expertise, professionalism and guidance throughout the years. He has always expressed a sincere passion in his work and loyalty towards his clients. His attention to detail is second to none while having representation that is true , kind and sincere and not always about the clock is where he excels head and shoulders above his peer’s. I truly am grateful to have Mr. Demetri in my corner providing council and would recommend him time and time again. As an experienced estate planning, elder law and litigation attorney, I empower individuals and families to protect themselves and loved ones through holistic personalized estate planning and asset protection strategies. Providing my clients protection and peace of mind is why I go to work each and every day. I have proudly served my community for over 25 years. I live in the same town that I grew up in, and my two children attend the same schools I did when growing up. Helping families, professionals and small businesses is the cornerstone of my career as a lawyer and a member of my community. It would be my honor to become your trusted advisor.